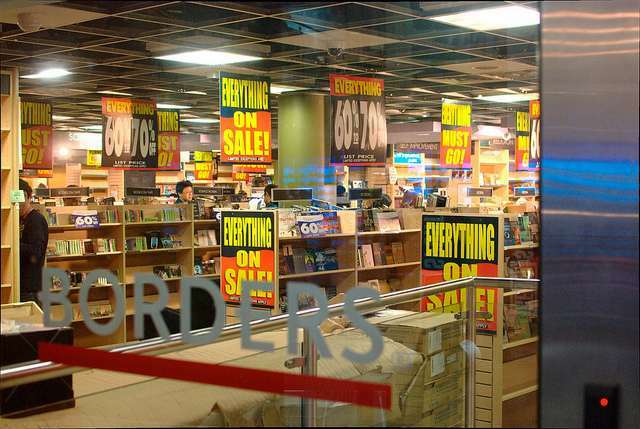 If you’re a book lover, you probably know that all Borders stores are closing. This weekend I went to the nearest store to check out the liquidation sale. And I have to say, I wasn’t that impressed. Books seemed to be selling slowly, even with 40-50% discounts. They still couldn’t seem to compete with online behemoth, Amazon.com. As sad as it is to see physical bookstores closing, there’s hope. These big box retailers knocked down the little independent bookstores years ago, and now those indie bookstores have a chance to shine again. So let’s take a look at how the Borders failure can be a good thing for small businesses in this industry, and a few lessons those independent booksellers can learn from it. Let customers search book availability online. That lets them avoid wasted time in stores searching for things. Let them either reserve in-stock titles for 24 hours or purchase them online for pick-up at their convenience. It’s like online shopping without paying for or waiting on shipping. Get involved in affiliate promotions. Encourage more authors to launch affiliate programs for online versions of their books (the bookstore earns commissions on sales). Or join existing affiliate programs through large online e-book sellers to avoid your own licensing deals. Offer in-store consoles for shoppers to browse and order the e-books. You can do the same through your website. Pay your own commissions. Referral sales can be big business, and the bookselling industry is no exception. Give customers a reason to refer others to your shop with affiliate programs or special loyalty rewards. Better yet, partner with libraries. They need income sources. You need more sales. Why not have referrals built into their online catalog? You deliver the books to the library and patrons can pick up orders just like they’d pick up hold items. The library gets a cut of each sale they refer. Win-win. A cup of java isn’t enough to keep bookstores alive. Smaller bookstores need to find new value-added services to keep customers coming in-store. Here are a few examples. 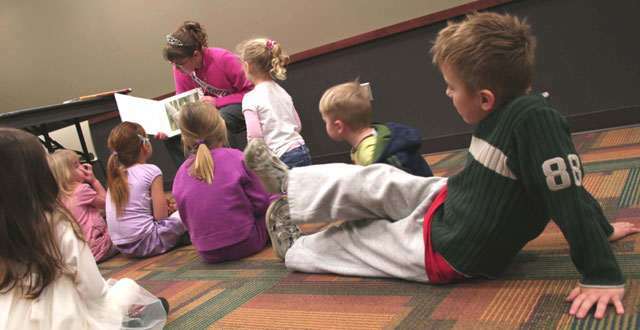 Offer children’s story time on a regular basis. Host author book signings, readings, and other events. Launch a community book club (or several). Offer used books and trade-in opportunities to compete with low-priced online used book sales. Host contests or events like writing workshops — find new local talent to promote and get local press coverage for it. Host events relevant to your store (murder mystery parties for a mystery bookstore, Halloween events for one specializing in horror, period costume parties, etc.). It’s tough to compete as a generalist in an industry where one or two large retailers dominate the market. They can buy in such bulk that they can afford to offer greater discounts than a small seller can. You can’t compete with them on price. Instead, smaller sellers can compete with niche specialties (such as a mystery bookstore or one focused on children’s books). Here are some of the benefits of doing that. You can provide more knowledgeable staff than a general bookstore can — people passionate about a specific genre who know the authors, books, and niche inside and out. You can focus on highly relevant authors and books for events your customers might be interested in (rather than hosting general events where customers might only be interested once every few months). You can offer more obscure titles and collectibles within your niche because you don’t have to save floor space for a huge diverse collection of books. The bookselling industry might be changing, but that doesn’t mean physical bookstores are going anywhere. Those with a creative edge will likely thrive and take things like the Borders failure as an opportunity to shine. Do you have a favorite independent bookstore? What do they do that bigger chains don’t (or can’t)? How are they adapting to changes in book buying behavior and e-publishing? Share your thoughts, stories, and other comments below.